The off side caliper had been intermittently sticking on a few separate occasions throughout the course of 2016. I had taken my van into my local garage for them to investigate the problem. Diagnosed as sticking on the caliper carrier was one suggestion, and after new wheel bearings and disk brakes the issues seemed to be resolved for a good few months. May 2017 I collected my van from storage and by the time I had got home the smell of hot components made me realize the issue had returned. The only possible option now was to replace the calipers themselves. Not cheap at near on £250 for the pair including new hoses. There were two different types of caliper fitted to the Atlantic. Mine had come out of the factory with the ‘Late ATE’ variety. 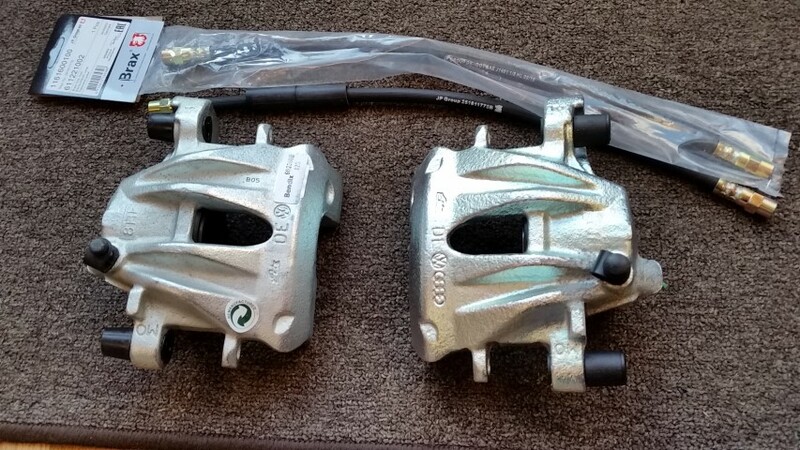 They do not make these calipers anymore so the only option was a refurbished pair. Brickwerks was the chosen supplier. I was pleasantly surprised at just how well these had been reconditioned. They actually looked new. Clearly all new moving components and they had been plated. As good as they looked, I knew that a good couple of coats of Smoothrite Red would assist against the elements, and give a brief flick of red through the wheel apertures. 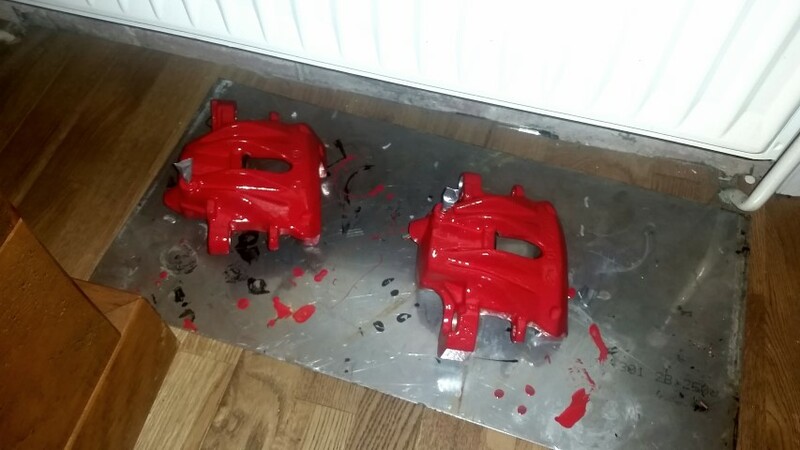 I had used Hammerite on my previous vehicle calipers. It was capable of withstanding pretty high temperatures, and didn’t discolor.